Meiyu Hsieh offers courses on pre-modern Chinese and East Asian history, world history, and the Silk Roads at Marion campus. 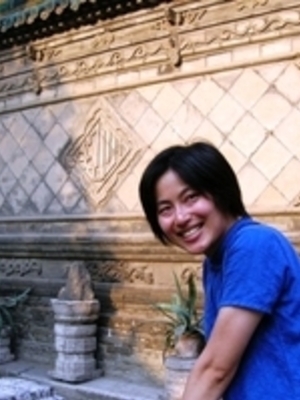 Her research specializations are early China, steppe empires, and comparative ancient history with an emphasis on empire building and interconnections between China, steppe polities, and oasis-states in Central Asia. More broadly, she is interested in theories of state formation, pre-modern communication networks, and historical archaeology. She is completing a book manuscript on the Han Empire in the Eurasian context. It examines the question of Han imperialism through interactive networks—diplomatic alliances, forced migration, and voluntary travel. A concurrent project is on the use of communication infrastructure that connected the Han Empire and the Western Region (modern Xinjiang and beyond) in the first century B.C.E. Her research has received support from the Henry Luce Foundation, American Council of Learned Societies, Mrs. Giles Whiting Foundation, Stanford Humanities Center, and the Freeman Spogli Institute for International Studies. She was a postdoctoral lecturer at Stanford University before joining the Department of History at the Ohio State University in 2013.